Thrifty Thursday – Freeze Fresh Herbs! Welcome to a NEW blog feature that I hope to keep up every week. After struggling through redundancy, job changes and setting up a brand new business I have become very custom to a bit of Thriftiness and to be honest I have grown to enjoy it and can not imagine living any oter way now. I have picked up alot of money saving tips and discovered my own along the way which I would love to share with you. I find the best time to pop into most supermarkets is at the end of the day and its great what reduced goodies can be found. On my way home this week I popped into my local ASDA and was so delighted when I peeped in the reduced trolley and saw fresh herbs reduced to 10p…..YES 10p! I happily took advantage and popped them in my trolley. 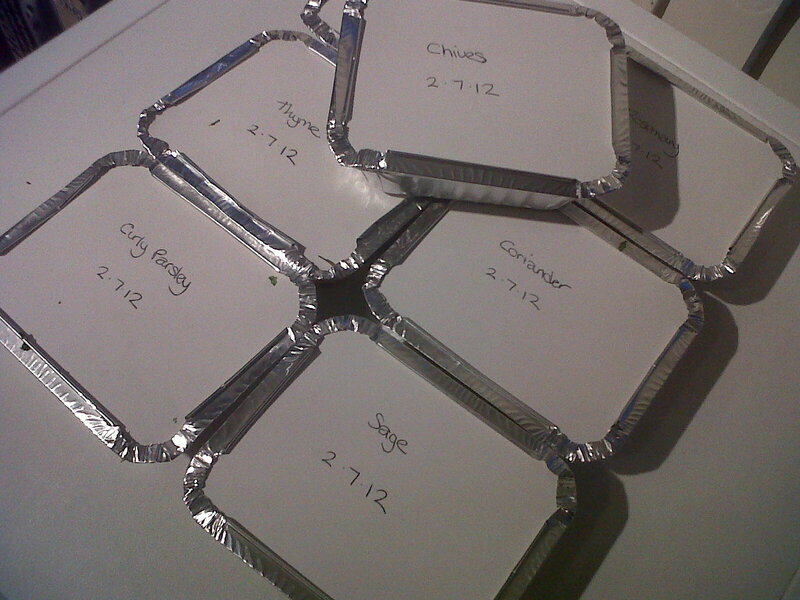 There was Coriander, Chives, Parsley, Sage, Rosemary and Thyme!! 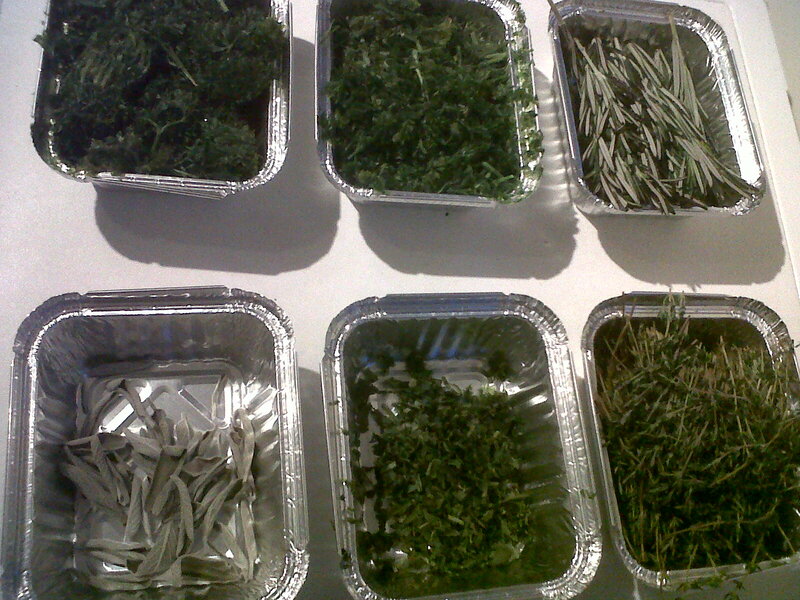 I was in heaven as I love fresh herbs and would rather use them than dried herbs. So my tip is to : Freeze Fresh Herbs – They can then be used direct from the freezer and added to stews, sauces, veggies and meats for a herby treat. And when you find them reduced to 10p you can not go wrong! Pop each herb into its own container. 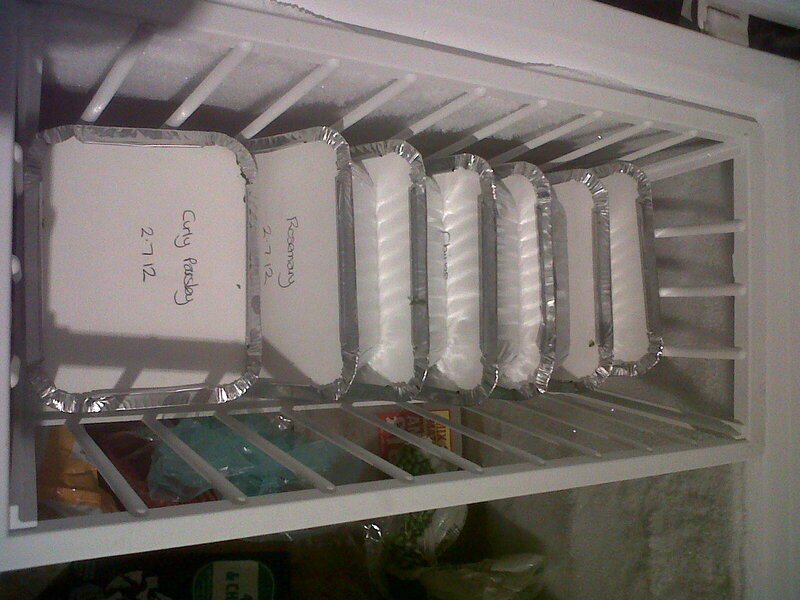 And the important part…..put them in the freezer! 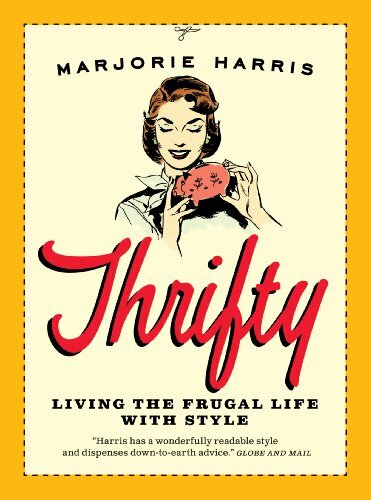 Do you have any Herby Thriftiness you would like to share? please pop a comment below, I would love to hear them!